A collection of Albertans' stories about finding new careers. 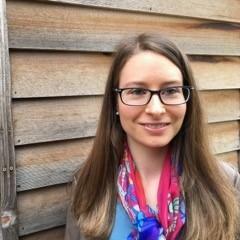 One year ago, Breanne Lambert, started her career in social work with the Alberta government. She completed multiple practicums and a casework trainee position before becoming a caseworker with Children’s Services’ Child Intervention Division. Her experience is a great example of the opportunities for building a career in social work with the Alberta government. In her role, Breanne works with families to ensure the safety and protection of children and youth on her caseload. Breanne talks with the family and explores what support they need. This involves developing relationships with the family, building on their strengths and connecting them with community supports. Breanne credits part of her success to training provided by Children’s Services to support her in her role. Hosted in person and online, this training helped her understand her position, navigate the legal system as a social worker, work with clients experiencing trauma, find extended family to support children and understand other best practices in social work. Breanne also credits mentorship and job shadowing opportunities to help her explore future career opportunities within government. Relationship and network building have also been a critical to Breanne’s progress and working towards her career goals within the Government of Alberta. Children’s Services is significant employer of social workers and is committed to developing rewarding careers that make a real difference for Albertans. If you are interested in learning more about this career, visit one of many of Alberta Career Week resources. As a former child in care with Indigenous roots, Claudia Berland was inspired to become a registered social worker. She now works as an assessor in the Child Intervention Assessment Unit. When a concern is reported, Claudia’s job is to speak to the family and the kids to gather information. When possible, her role includes connecting families to community resources and other family and community members for support. “Because of my background, I can empathize with the families and their struggles. Then, I find a way to support them. It means a lot to me to make that connection,” says Claudia. Like any job, social work has its challenges, but teams come together to support one another, which can be incredibly rewarding. “Seeing the impact of trauma, the grief and loss and struggles in relationships is challenging. But, as social workers, we are here to provide support to keep families together. As part of a team, we help each other so we can help others,” explains Claudia. With this and other supports, Claudia encourages others to consider working for the Alberta government. Children’s Services is a significant employer of social workers and is committed to developing rewarding careers that make a real difference for Albertans. If you are interested in learning more about this career, visit one of many of Alberta Career Week resources. 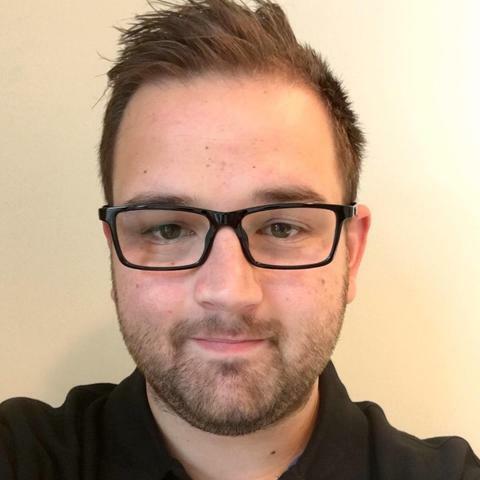 Twenty-five year old Cody Murrell began his career in social work with the Alberta government. After graduating with a diploma in social work from Grant MacEwan University, Cody became a case aid with the Alberta government. 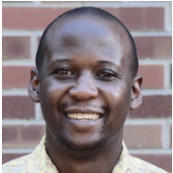 He continued working with the government while completing his Bachelor of Social Work. Through it all, the Alberta government has offered many learning opportunities to develop skills, and offer critical feedback to advance his career. Some of his training has been on his work responsibilities under legislation. Other training has taught him how to build collaborative relationships with families and build on their strengths in caring for their children. Training has also outlined best practices in social work. As a significant employer in social work, Children’s Services is committed to developing rewarding careers that make a real difference for Albertans. If you are interested in learning more about a career in social work, visit one of many of Alberta Career Week resources. The Advancing Futures Bursary provides current and former youth in care with post-secondary funding, and social and emotional support as they transition to adulthood. Katey Cowan feels that the Advancing Futures Bursary helped her achieve the career of her dreams. 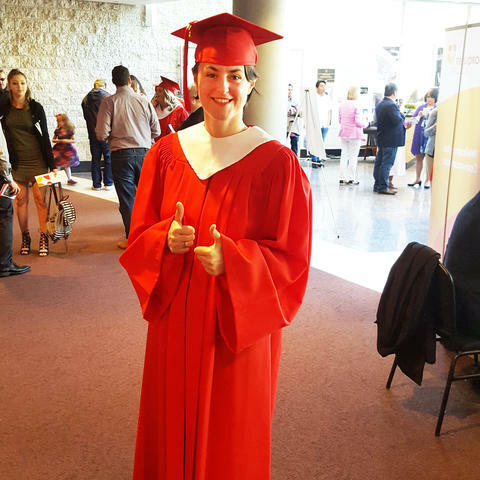 With financial support from Advancing Futures, Katey graduated in 2015 from Bow Valley College with a youth justice diploma. And in 2016, she graduated from Lethbridge College with a Bachelor of Arts in Justice Studies. Advancing Futures also provided necessary social and emotional support along the way. “When you age out of care, your support stops. So, having Advancing Futures’ support was huge. They helped me talk out what was best for me. 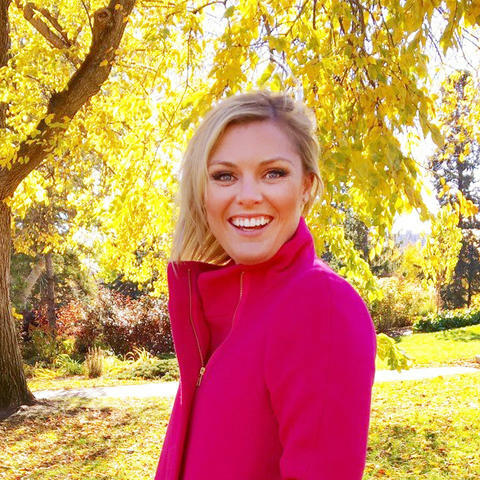 Through our conversations, I gained confidence to get my degree,” says Katey. Advancing Futures also connected Katey with useful resources. For example, tips on budgeting and where to get her taxes done. 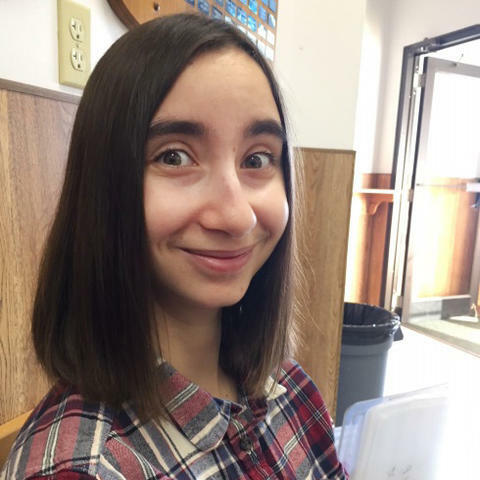 Advancing Futures also supports the development of life skills and even helped with her resume for an internship with the Office of the Child and Youth Advocate. She got the job, and realized that she wanted to work in human services. Katey now works in Calgary at Simon House Recovery Centre, which helps men recover from addiction and its effects. She was recently promoted to her position as a Continuing Care Counsellor. She is also the chair of the Justice Advisory Committee at Bow Valley College, sharing her experiences to enhance the student experience. Advancing Futures is one of the ways the Alberta government provides support for rewarding careers like Katey’s. Albertans can discover these helpful programs and career services. 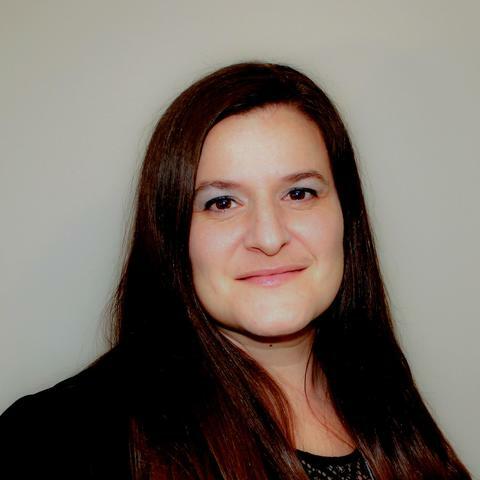 Based in Edmonton, Renee Poles is certified as a child development supervisor, and works as a child care supervisor and educator at Fulton Childcare Association. Her experiences illustrate how the child care profession supports Alberta’s children and offers rewarding careers. Renee was part of team that received Alberta’s Child Development Professional Award of Excellence in 2017. In 2008, Renee Poles discovered her passion for child care while working at the Victoria School of the Arts. She also worked as an approved family day home provider with a day home agency in Alberta. From her interactions at the school and with parents at the agency, she confirmed her desire to work in child care. She then completed Grant MacEwan University’s two-year Early Learning and child care diploma program, making her eligible for certification as a child development supervisor. When thinking about the profession, people often associate it with just taking care of children. However, Renee stresses that her position, and that of any child care professional, is more than that. In many ways, child development professionals help guide children to their brightest futures. That’s why our government is pleased to support child development and child care. More information about a career in early childhood, including child care. At 26, Tyler is a father of 2 little girls and a member of the Kainai band. 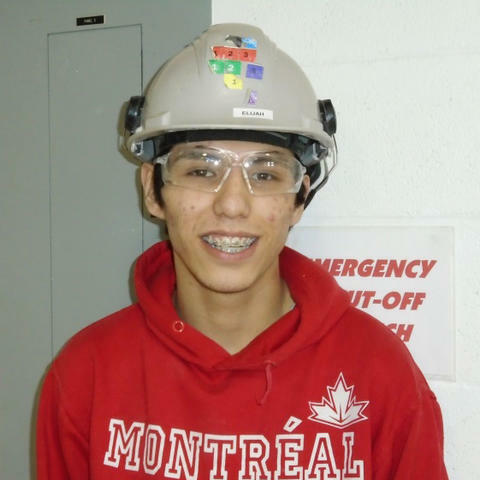 He is also an electrical apprentice thanks to Trade Winds To Success, a 16-week program for First Nations, Metis, and Inuit people who are interested in a career in the trades. "I heard about Trade Winds To Success through a friend who had a cousin successfully complete the carpentry class," Tyler says. I'm really glad I did because I owe my employment to Trade Winds." Along with carpentry, Trade Winds To Success offers training in the following trades: boilermaker, Electrician, ironworker, millwright, plumber, steam/pipefitter, welder, and insulator. The program begins with a 2-week orientation where students decide the trade they wish to learn. They visit training sites, shops and local educational facilities to get a sense of what is involved in each career. "I was unsure of what trade I wanted to learn and participate in," Tyler remembers. "But through research and talking with friends in the field, I decided the Electrician Trade was what suited me." Tyler remembers raised eye brows when he told interviewers about the certifications he'd earned during his studies with Trade Winds To Success. He's grateful to the staff and teachers for their support and the atmosphere of learning they created. "They helped me identify the goals within myself and carve a path for me to follow, arming me with the required tools needed for my future career. I have and will be recommending this program to family, friends and strangers. To any inspiring applicants, attend every class, every day. Pay attention and have fun." As a Red Seal journeyman plumber, Twain had never needed to access employment services because he never had trouble finding a job. He, like thousands of other Albertans, eventually experienced an unexpected layoff for the first time in more than 20 years. Twain was contacted by the Bredin Centre for Learning in Red Deer through the Targeted Referral and Feedback program for Employment Insurance applicants. After attending an orientation, he decided to participate in the Career Link workshops and make use of the free one-on-one support of a Career Coach. 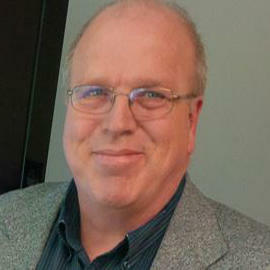 He developed a new resumé, which helped him expand his search and accurately articulate what he had to offer employers. Not only did he improve his ability to verbally communicate his skill set, he also increased his knowledge of the local job market and gained an understanding of what employers were looking for. It wasn’t long before he received call backs from potential employers and landed an interview in his field. Twain has now found full time employment in his field of expertise. Twain was so impressed with the quality of the information he gained from the workshops and the skill set he developed working with his Career Coach. In fact, he was so motivated by the workshops, he created a five-year plan to further expand his skill set and continue with his professional development. With many goals in sight, the sky is the limit. After moving back to Alberta in June of 2016, Tracy set out to find a job in her field of oil and gas. However, because of low oil prices, the industry was suffering and she had no success. Tracy kept looking while living on employment insurance, updating her profiles and sending out over 200 resumes. Facing bills to pay and feeling her self-esteem plummeting, Tracy reached out to Alberta Supports. Alberta Supports provides help accessing over 30 programs and 120 community services including help with employment and financial needs, as well as supports for seniors, people with disabilities, children, youth and families. Tracy met with a career and employment counsellor (CEC), who helped ease her worries and form an employment plan with her. The CEC helped Tracy reformat her resume and target jobs that worked well with her skillset. The CEC also provided Tracy with new job posting sites and programs offered by Alberta Supports that could enhance her skills and motivation. Tracy started to apply for jobs in a different industry that would use her transferable skills. 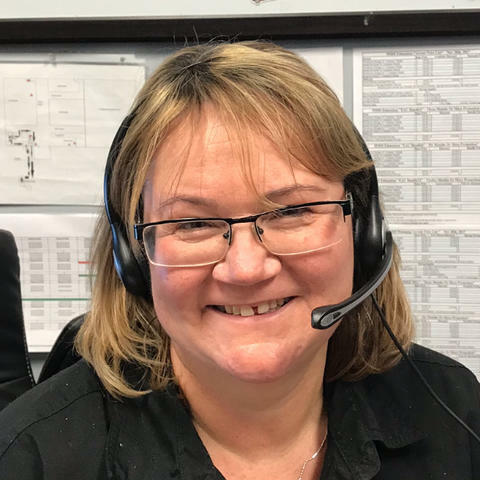 After much hard work, Tracy landed a "fantastic" job with a "fantastic" boss in an industry where she will have the chance to develop new skills and excel. "I am a success story thanks to Alberta Supports," Tracy says, "and I am so grateful for the wonderful guidance that I received." Terrence knew he enjoyed working with power tools and wanted to find a career that would let him focus on that passion. 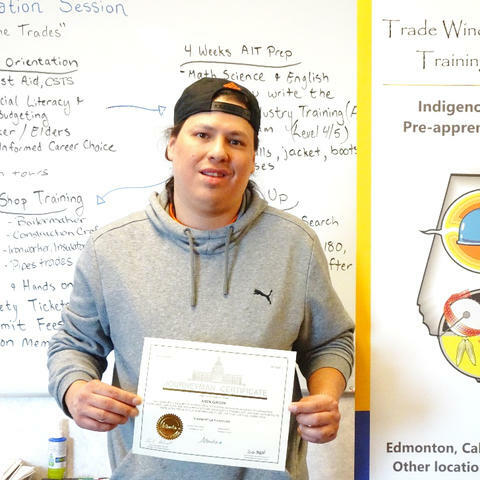 He enrolled in Trade Winds To Success, a 16-week program for First Nations, Metis, and Inuit people who are interested in a career in the trades. During the first 2 weeks Terrence visited training sites, shops and local educational facilities to get a sense of what was involved in each career. Then he had to decide which trade was for him. With choices ranging from boilermaker, to electrician, to welder, to millwright, and many more, it was an important 2 weeks. In the end, Terrence chose carpentry. Terrence appreciates the training he received at Trade Winds, which included follow-up support afterwards. Shortly after graduating, Terrence was able to find a job as a framer. "I enjoy having a sense of accomplishment after a project is complete," he says. Trade Winds To Success receives funding from the Government of Alberta. After over a year of searching for a job, Tania did not seem to be getting anywhere. "I looked for any type of work that could help me to pay my living expenses and student loans after graduating," Tania says. "Those were long months." 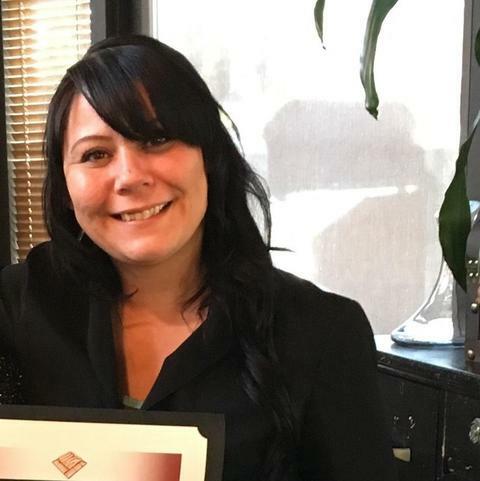 Tania visited an Alberta Supports Centre for help in her job search and they connected her to Alberta Job Corps, where she gained work experience and learned employee skills while earning minimum wage. Positions are full-time and include a workplace environment with standard employee expectations. Alberta Supports also helped Tania take a Microsoft Access training course through NAIT. "My careers worker was 100% committed to guiding me on my quest to find a job," Tania says. "She became a real mentor." Tania's dedication paid off when her contract with her new position was extended and she was nominated employee of the month. Being employed, Steven says, "feels very good." Steven has been a dishwasher at State and Main for nearly a year. 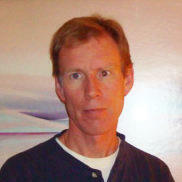 Like many people, Steven had sent out resume after resume, feeling angry as time passed and he failed to secure a job. He didn't know what to do with himself and rarely left home. Then he connected with Employment Placement & Support Services, a Red Deer-based organization that helps people with career planning and job search skills. They matched him with their Inclusive Community Employment program, or ICE. ICE supports Albertans like Steven who have a developmental disability. They provide everything from job support and coaching, to resume development, to workplace supports for both employee and employer. For employers, ICE also offers supports on workplace adaptations or accommodations, which are often minimal. Steven appreciates the help and support he received from the ICE program. "I feel good to be getting out and keeping busy," he says. "They helped me a lot in finding this job." The Inclusive Community Employment program receives funding from the Government of Alberta. When Shannon started looking for work in 2016, she had over 25 years of sales and management experience in the retail industry. But a long work history does not guarantee success when making a career change, and Shannon was failing to connect with employers. She accessed the JOBplus program provided by BGS Enterprises for help developing her resume, learning better interview skills, job search strategies, and knowledge about the labour market. The free program is designed to help people transitioning between careers. They offer an assessment of transferable skills, career mapping, networking events and support with Employment Placement, among other services. "The best thing BGS did for me was help me find my self-worth," Shannon says. Using the skills and tools learned in the program, Shannon reached out to an employer through cold calling and was able to book an interview. Her interview was a success and she was offered a job, which she accepted. BGS Enterprises receives funding from the Government of Alberta. Like many students who have finished high school, SaDair was on the search for a job. Since graduating, the 22-year-old had been struggling to find steady work and had been jumping from one job to another. He was interested in carpentry, but found it difficult to get his foot in the door as he lacked experience. Finding the right job after graduation might mean thinking outside the box, whether it’s doing an apprenticeship, networking, volunteering or other training opportunities. For SaDair, he decided to enrol in the Construction Pre-Trades Training Program, as he felt this training would be a perfect fit. He did not regret his decision. SaDair completed the program March 2017. Since then, he has had more confidence and determination in seeking out new opportunities; he approached an employer who was building a house in the community, and asked if they needed help. He was interviewed by the company, and was offered a full-time job. Today, SaDair continues to work full time in the carpentry field. Like many people, Rod was intimidated by the prospect of starting up his own business, a shop for pre-owned hobbyist kits. But thanks to a Government of Alberta-funded training program, Rod launched his entrepreneurial idea. 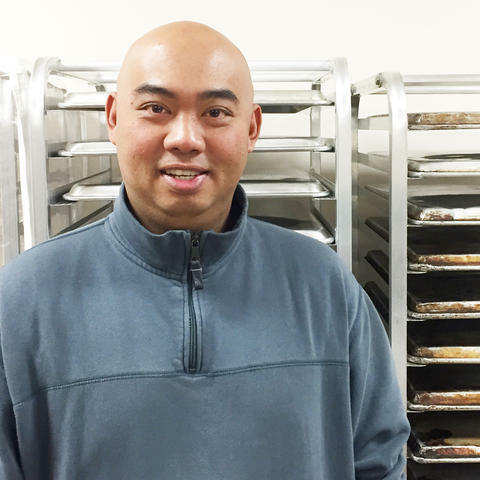 "Had I not attended the program I am sure the challenge of opening my own business would have been much more stressful and costly," Rod says. "I may have even given up on the idea entirely." 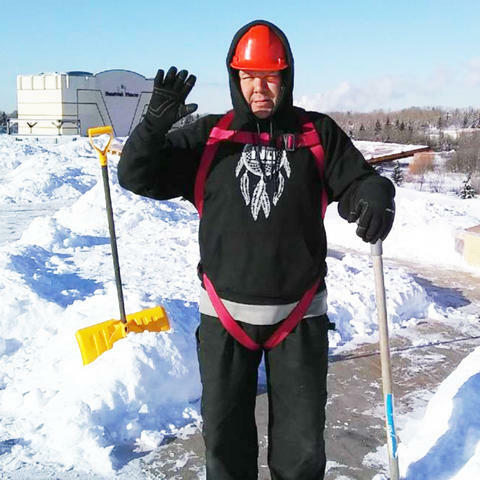 Unemployed and in his mid-50s, Rod enrolled in the self-employment training program at the Microbusiness Training Centre, and qualified for funding from the Government of Alberta to complete his studies. The program included 8 weeks of classroom lessons from experienced business professionals, who helped Rod create his business plan and hone his entrepreneurial skills. "Before enrolling I had some ideas about how to open a business but not enough to make it a success," Rod says. "The program was a great help at filling in the blanks." After the classroom training wrapped up, Rod received months of additional coaching to help him with a successful business launch, and even more mentorship to support him in making his business sustainable. "Not only the staff at Microbusiness training center but many of the past and current clients have been a great resource for me," he says. Armed with a Bachelor of Commerce and an MBA in finance, Rajkamel did not come to Canada to pump gas. Unfortunately, many newcomers to Canada fail to find work that matches their education level and are forced to take survival jobs to meet their basic needs. 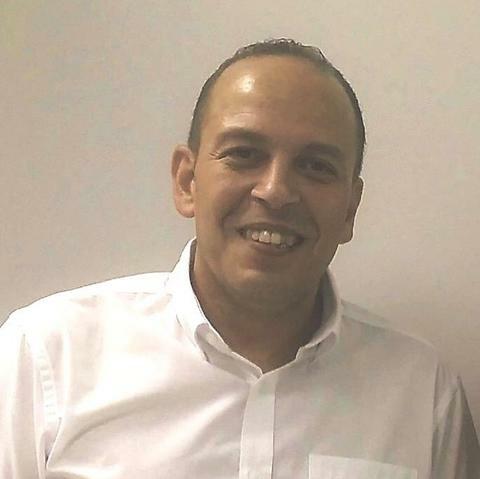 Rajkamel sought out help in finding a more suitable job at the Bredin Centre for Learning. He worked diligently with the Career Coach and Employment Developer, eventually gaining employment as a merchandizer with Pepsi Co. This entry-level position still did not match Rajkamel's education, experience or career goals, but he stuck with it for the next eight and a half months because it was better than being a gas station attendant. The Bredin Centre for Learning assists newcomers to Canada to find employment, develop their career plan, navigate the process of obtaining certification for Alberta standards of practice for regulated occupations, and adapt to life in Canada. It offers career-building services for everyone facing challenges finding work, and skills development programs which include English as a second language classes and life skills lessons for single parents. 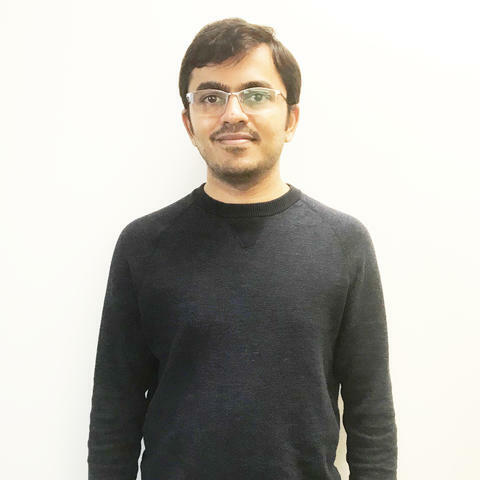 Rajkamel worked with his Bredin career coach to develop a new resume and cover letter, create a reference page, and practice interview skills. He learned about the importance of cold calling, following up on submitted applications, and how to tap into the hidden job market. His hard work was rewarded when he was called in for three interviews for positions that matched his career goals. The third he accepted. "I am thankful for all the assistance I received," Rajkamel says. "I couldn't be happier with my new position." Bredin Centre for Learning receives funding from the Government of Alberta. For Patricia, living with anxiety and depression made it a struggle for her to find a job where she could feel motivated to excel. 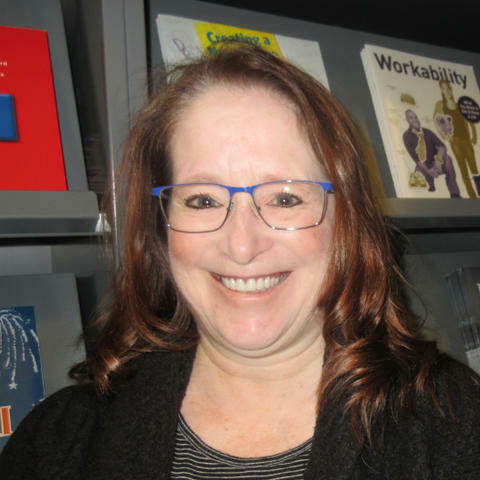 She looked for help from many different employment programs, but it wasn't until she found the job club at the Edmonton Argyll Centre that things took a positive turn. During the sessions over the next 8 weeks, Patricia built up her self-confidence, and took a close look at her own weaknesses and strengths to help her understand what kinds of jobs would make a good fit. She worked on her resume, improved her cover Letter skills and developed good work search strategies. “I really appreciated the personal efforts of the staff and their words of encouragement," Patricia says. Then, one of the job leads from the program paid off. At the age of 54, Lori had been out of work for a number of years and needed help re-entering the workforce as a mature worker. Previously she had worked as a welder’s helper for pipeline companies, but because of her age she was no longer able to do this type of work. She went to an Alberta Supports Centre for help and was referred to a 3-month training program for older workers provided by Ballad Consulting Services. While attending this program, she learned about computer programs, obtained safety tickets and participated in different workshops on career planning and life skills. Afterward Whitecourt Employment Services supported Lori in developing 2 different resumes to showcase her distinct passions - working with the elderly and trucking. A short time later, Lori was hired into a full time position at a Senior’s Lodge. Lori felt her older age was a barior to her successfully finding work and is grateful that programs such as Ballad Consulting Group and Whitecourt Employment Services exist to help mature workers. "I love working at the lodge with the Seniors," Lori says. "It makes me very happy to be independent and working again." Ballad Consulting Group and Whitecourt Employment Services are funded in part by the Government of Alberta. Lloyd spent over 30 years fixing robots as a CNC maintenance technician, before being laid off and forced back onto the job hunt. "Things had changed greatly in 30 years," Lloyd says. He quickly discovered he could use some help updating his resume, practicing his old interview skills, and learning new job search techniques. 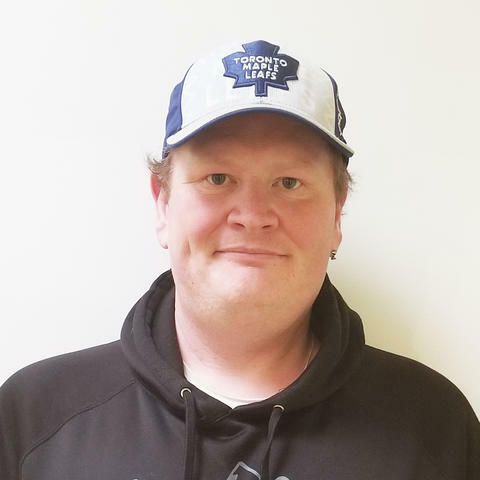 Lloyd turned to BGS Enterprises and was accepted into their JOBplus program for people with established work histories who are having trouble securing new employment. The free program offers a skills assessment, help identifying and applying to possible jobs and opportunities to network with potential employers. Lloyd developed strategies for approaching employers and discussing how his skills and experience would be an asset to their company. Although he found it uncomfortable to network with employers and perform cold calls, he finally contacted the vice president of an Alberta-based fertilizer company and was invited to an interview. "We were told to look outside the box," Lloyd says. "I have the skills, even if it is a totally different field." The outcome of the interview was that Lloyd was offered the job, which he happily accepted. "Stay positive and keep slugging," Lloyd says. "Most of all, grow your network." Laureen credits her father for being the inspiration in completing her studies and getting back on track. 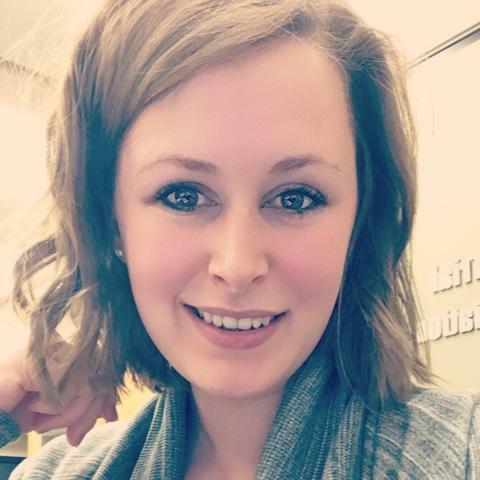 She was attending the Northern Alberta Institute of Technology’s (NAIT) Administration program in August 2017 when Laureen had to deal with her father’s death. Trying to attend class every day was the most difficult challenge, but she sought encouragement from her father. “When I was feeling like I should give up, I would hear my father say, ‘You can do it, my girl.’ So I made it a goal to complete the program,” she said. Laureen found the program helpful in developing her skills and learning programs such as Word, Excel, PowerPoint, and Sage while boosting her confidence. Once she completed the program, the job search was less daunting. In less than three months, Laureen found a job as a receptionist, and after only a month, was promoted to a position as an administrative assistant with a raise. Laura visited an Alberta Supports Centre shortly after graduating high school to find help with entering the workforce. Because Laura has FASD, she was referred to EmployAbilities, an organization that offers career resources for Albertans with disabilities. Among the services that EmployAbilities offers are: access to assistive technology, one-on-one career planning and coaching, access to job leads, job skills training, and Assistance filling out forms, including AISH, CPPD, WCB, PDD, and Income Support. Laura worked with staff to identify her strengths and career goals. Focusing on her interest in the culinary arts, Laura completed the Food Safe Handling Course, First Aid and WHMIS, and was supported in setting up her own small business selling homemade candy at the local farmer's market. Being self-employed allows Laura to choose her own hours, have creative control and share her passion with her customers. She plans on continuing to run her business while she attends college for the Culinary Arts Program. 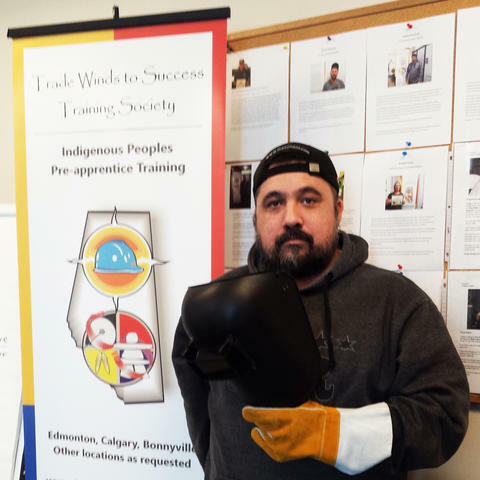 Ken was unemployed and had been out of school for 25 years when he saw a newspaper ad for a training program for Indigenous people seeking careers in the trades. He applied and was accepted to the program. Trade Winds To Success is a 16-week program for First Nations, Metis, and Inuit people. For the first 2 weeks students visit training sites, shops and local educational facilities to become familiar with what is involved in the trades being taught. These include boilermaker, electrician, welder, millwright, and many more. Ken decided to study plumbing and gas fitting, facing physical challenges to complete the work at first. But in 2015 he earned his Journeyman ticket and then earned his Red Seal. Ken was able to buy a new house, pay off debt, and take time off to do some traveling since completing the program. "I now have financial security and a pension," Ken says. "This is a golden opportunity for those who want to achieve success." Kathy and her husband both survived on income support for 3 years before finally finding career success with the help of Alberta Job Corp. Every day the threat of eviction hung over their heads while she struggled to maintain employment. After visiting an Alberta Supports Centre in Cold Lake, she was referred to Alberta Job Corps in Lac La Biche. That's when things began to improve. Alberta Job Corp provides work experience to under-employed Albertans and teaches employee skills while paying a minimum wage. Positions are full-time and include a workplace environment with standard employee expectations. Kathy became the team lead working in the kitchen and learned to bring a professional attitude to work, along with new career skills and valuable experience. "I can pay my own bills now," she says. "I even bought a new car." Joel had the education and the experience when he arrived in Canada and his plan was to find a job that matched his skill set as a business professional. But he had no Canadian experience to highlight on his job applications. "I sent out many resumes and heard nothing back," Joel says. He found himself applying to entry-level customer service positions as a plan B. He also went looking for employment support and enrolled in the BGS Job Connect program. They helped Joel with resume and cover letter development, work search strategies and interview skills. Within 3 weeks Joel had 2 interviews and 2 offers, both for jobs as a business professional. "The interview preparation was extremely helpful," Joel says. "I felt confident and did better than I expected with my interviews. Now I have my plan A job!" Jennifer left the workforce to be a mom full-time. When she decided to return, she sought out the career supports at BGS Job Connect program. Jennifer found that she was nervous about re-entering the workforce and unsure how to present her skills to perspective employers. Having previously worked in fast food, she was now hoping for a job in health care, but like many people looking for work, Jennifer kept herself open to any opportunities that came her way. During the Job Connect program Jennifer participated in employment workshops, learned about networking, and received coaching in how to cold call perspective employers. It all paid off when she followed up on a job lead and landed an administrative position at a nearby law office. "I will forever be grateful to the staff who helped me,” Jennifer says. "My new job is going great so far. I couldn’t be happier!" When Hossam first arrived in Canada in 2014, it seemed like his career was heading the right way. His employer had offered him a position in Canada to start up a new office. With 21 years of experience in management in the oil and gas sector, this seemed like an opportunity Hossam could not turn down. The first few weeks in his new position, he adjusted to the new work, new country and new culture. Things seemed to be looking up, but then the financial crisis hit the Alberta economy. Hossam’s employer decided to shut down its Canadian operations, and for the first time in his career, Hossam found himself unemployed. Like many others in Alberta, Hossam struggled finding work. For almost two years, he tried, but was met with rejections; some said he was over qualified, others said he lacked Canadian experience. Then, thanks to a friend, things turned around when Hossam learned about the Career Leap Program in Calgary. Hossam now works in a different field as a procurement advisor, and says he’s enjoying every moment. For some time, Ellis had been looking for a way to begin a career in the trades. He had applied everywhere for an entry-level mechanics job, but to no avail. He also had trouble finding transportation to work while juggling academics. That’s when he decided to check out Motive Action Training Foundation in Calgary. Motive Action provides a 24-week competency-based integrated training program that provides unemployed or marginally employed youth with a unique blend of occupation-related skills, work experience placements, and job preparation skills training. Ellis felt that was the right fit for him, and he started the program from April to September 2017. Since then, his career has taken off, and he has been employed full time in a repair shop at a local dealership. He has even received a promotion! Ellis says his life has changed drastically since having a steady job—he can now afford to live. 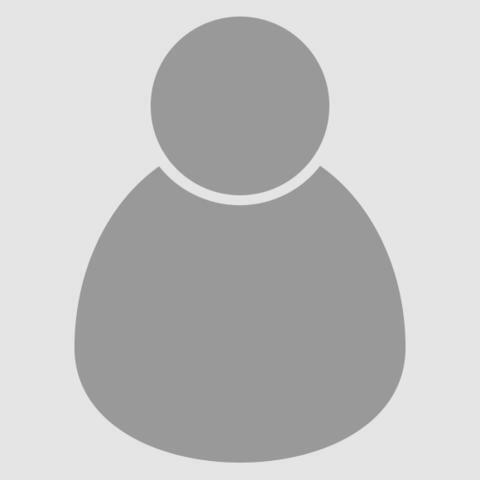 Edelisa came to Edmonton searching for a job in the hotel industry. Although she had some related experience, nobody was responding to her job applications. Edelisa accessed the BGS JOBplus program for help developing her resume and improving her job search skills. The program offers a skills assessment, coaching and support, networking opportunities, job search Strategies and job placement to people with an established work history but who are having trouble connecting with employers. It receives funding from the Alberta government and is free to participants. Through networking and cold calling the JOBplus staff secured 2 interviews for Edelisa with 2 hotels, one with the Pomeroy Inn Vegreville and the other with the River Cree Resort. They coached Edelisa on interview skills and she aced both interviews, receiving job offers from each hotel. 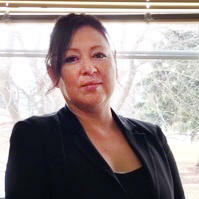 Edelisa accepted the position at the River Cree in February. For David, getting the call to come in for a job interview was once a wishful dream. After repeated failures to get his foot in the door of the job market, the Sherwood Park native ended up on income supports and felt disenchanted by the whole job search process. But his determination won out and David began attending sessions as part of an 8-week job club at the Edmonton Argyll Centre. During those sessions, David received resume coaching, stocked up his toolbox for career success, and found the self-confidence to return to the job hunt. A month after, his phone started ringing. "I'm very thankful for the opportunity," David says of his experience with the job club at the Argyll Centre. "I got six calls for interviews in the month since." Although David credits much of his success to the support he received at the job club, it's clear–this is a win for perseverance and determination. For Dave a feeling of defeat accompanied the memories of his career in the finance and insurance industry. Having worked his way from poverty to become a successful entrepreneur, he lost everything Due to mismanaged funds, including his industry license. He became homeless, experienced health issues, and lost family members. 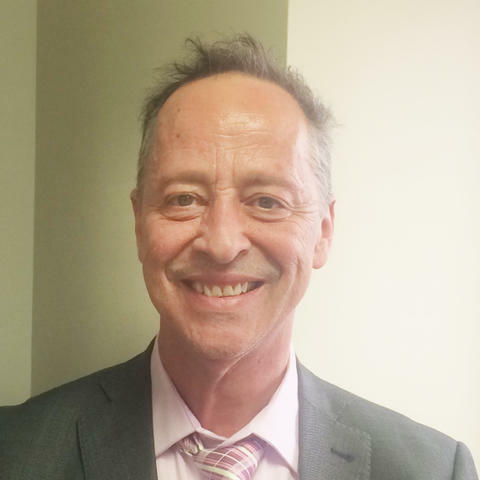 He sought out help from the McBride Calgary Career and Employment Centre, which offers career coaching, resume critique and development, help with job search and interview skills, and referrals to other service providers. The centre receives funding from the Government of Alberta and provides its services with no cost. With the centre's help Dave continued his job search and improved his interview skills. He has found 2 jobs and with the help of the Calgary Dream Centre has moved into a house. "It all starts with hope," he says. "Anyone can do it with hope and the right help." Unemployed for almost 2 years with little success in finding a job was difficult for Darcy. Although he had made attempts to connect to a job through the help of various employment service providers, he was unsuccessful in finding one. 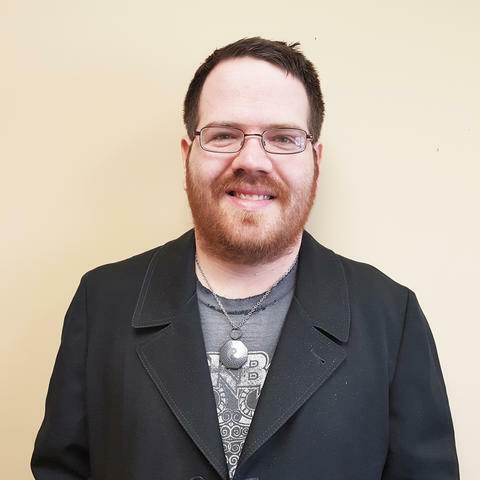 Upon entering the Career leap program through Manpower in Airdrie, Darcy began working with their staff in re-writing his resume, cover letter and supported him to overcome anxiety with interviewing through mock interviews. He attended workshops, increasing his knowledge on how to use the internet and on-line resources to enhance his job search efforts. After completing the program, Darcy received 5 interviews, landing a full time job. Pleased with the results of the program Darcy states, “the support from staff was excellent and they helped me to lessen my anxiety with interviews”. For information on the Manpower Career Leap program, visit their website. After working in the oil and gas industry for more than 15 years, Cindy, like many thousands of Albertans, was laid off when the economy took a nosedive. For the first time since, Cindy found herself looking for a new job in a tough labour market. For almost two years, Cindy conducted interview after interview. After applying for more than 300 jobs and doing only 12 interviews, she saw no luck. Cindy, did not give up. 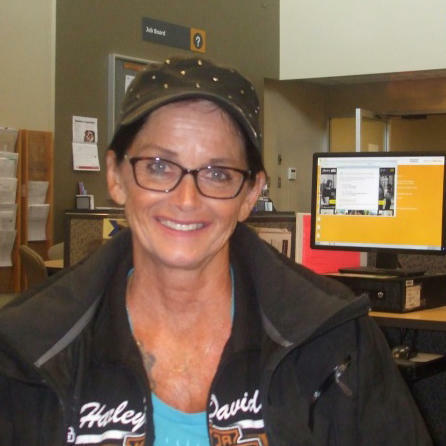 She eventually learned about the Project Hire – Workplace Training program through the Teamworks Career Centre in Lethbridge, and decided to sign up. She was matched with a local dental office, which provided her on-the-job training through the program from November 2017 to March this year. 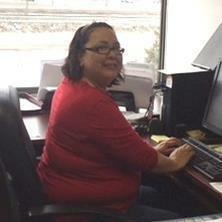 Cindy learned new skills in office operations, finance and budget, technology, human resources, and others. “The Project Hire program gave me confidence that there is a door to lean on, a safety net if needed. My Within a short time I was able to streamline things, providing more cost and time effectiveness. I was able to provide more operational efficiency,” Cindy said. 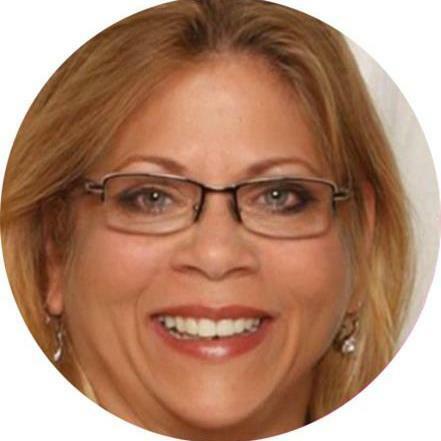 Cindy was able to successfully make the transition from the oil field to dental administration. She now manages of her employer’s dental offices in southern Alberta, bringing her initiative, innovative ideas and technical abilities to her new job. Chris was supporting 4 children on income support when he registered for the Community Support Worker program. Now he is financially independent and works with people with disabilities. The Community Support Worker program is offered by Academic Express Adult Education and Training, which offers career development and adult academic upgrading. It is a 6-month long program, with 4 months academic training followed by 2 months of work experience. Students are prepared to work in community settings helping people with addictions, people with developmental disabilities and the homeless. "They took a chance on me," Chris remembers. "The academic work wasn't my strength." Chris did his work experience at Parkland Community Living and Supports Society, who hired him afterward into a full-time position. Within the year Chris was recognized with an Employee Nomination Award for his work with People with Developmental Disabilities. In addition to his day job, Chris made accommodations to his home and now provides respite care to supplement his income. Chris is still in touch with the people from Academic Express who supported him while he took the program. He appreciates their help and training, while they are proud of the excellent role model Chris has become for his kids. 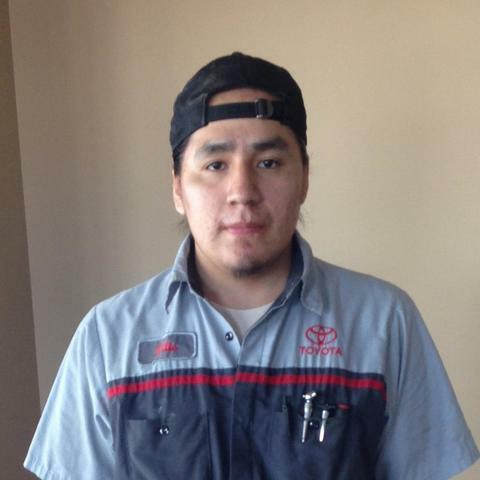 Unemployed and ready to move forward in a new career direction, Brandon enrolled in the Security Program through Louis Bull Tribe. 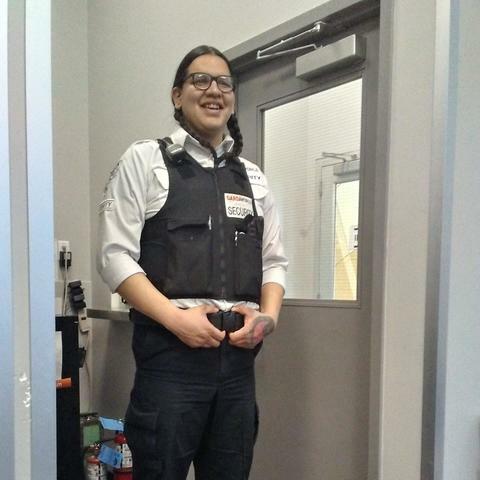 Brandon was eager to learn the skills needed to obtain his security license and begin working as a Security Guard. His hard work and commitment to working through all program elements did not go unnoticed by program trainers. After meeting all requirements of the program, Brandon obtained his security license and was successful in finding employment as a Security Guard. In a new community. Learning new skills as well as obtaining his class 7 license and safety tickets has given Brandon the confidence he needed to be successful in his new career. Brandon is grateful for the opportunity to have been a part of the training and is excited to live on his own in a new community, working in a profession he is proud of. In September 2017, Benito took the first step in reaching his career goal of working in the trades. As a participant of the Construction Pre-Trades program through McBride Career Group, Benito began learning the skills needed, helping him to build confidence in refining his new craft. Benito’s expectations were to come out of the program with knowledge and skills that could be used to eventually start his own business. His determination, strong work ethic and natural leadership did not go unnoticed in the classroom. 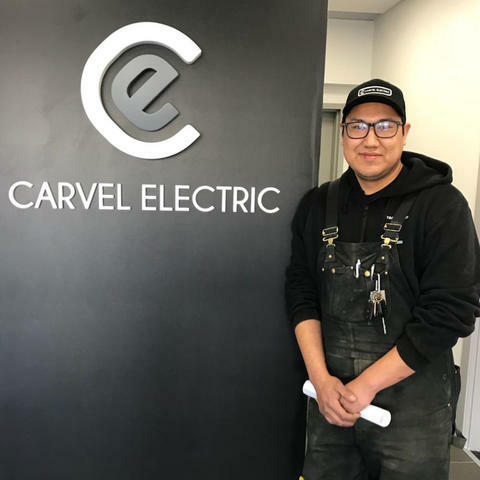 Graduating in February as class Valedictorian, Benito was offered employment in Northern Alberta and is currently working towards his first year apprentice training. Benito’s long-term goal is to advance in industry knowledge to the level where he is able to contract in different parts of the world. Benito recommends the program to others interested in a career in Construction stating “It’s real out there in the work force especially in the construction industry. We learned the importance of safe work practices and working as a team. Some companies refer to it as working as one family ". To contact McBride Career Group – Construction Pre-Trades program call: 403-777-5627. Aren is Métis and was born in Edmonton, Alberta. 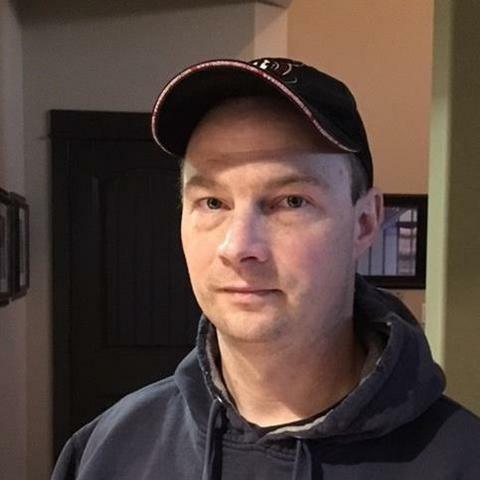 He completed the Trade Winds pre-apprentice steamfitter/pipefitter program in 2007 and obtained his journeyman certificate in October 2017, with the goal to obtain his Red Seal certificate in the near future. Before starting the Trade Winds To Success program, Aren was unemployed and unsure about what the future held for him. Aren had always wanted to get into the trades but did not know how. While walking down the street one day, he spotted the Trade Winds sign and decided to go into the office to find out more. From there, he began his journey. "I would not be here without Trade Winds," Aren says. "It has helped me get the experience I needed to find work." Thanks to the program, Aren has found sustainable employment and a steady income, both things that go along way to improving his quality of life. Aren says that working in the trades and seeing the thousands of people employed in the field made him realize he was part of something bigger than himself. "I realized I didn’t want to be successful for anyone else," Aren says. "My goal in life was to do it for myself, and that is what helped motivate me to complete training." Anne Marie knows what it means to work hard and put one’s life back together after having gone through hardship and challenges in her life. After leaving her previous employer, she wanted to look for a different career path doing meaningful work that would make a difference in the lives of others. She felt that working with children would be a good fit. Anne Marie needed training that would not saddle her with significant debt. She found that through the Early Learning and Child Care training with McBride Career Group in Red Deer. Funded by government, the 18-week training, which started in September 2017, would set her on the right path into this career field. Anne Marie added that she felt she was set up with the right tools so she knew what to expect for her practicum. She gained experience as a relief staff and was hired on. She now works full time in a pre-school supporting families and children, many of whom are going through the same challenges as she did. After living on income support and couch surfing with family, Andrea decided it was time to make a change. She was determined to gain financial independence while maintaining a close connection to her community of Ermineskin. Thanks to her hard work and the program, Andrea developed new skills, gained valuable work experience, and obtained several safety tickets. 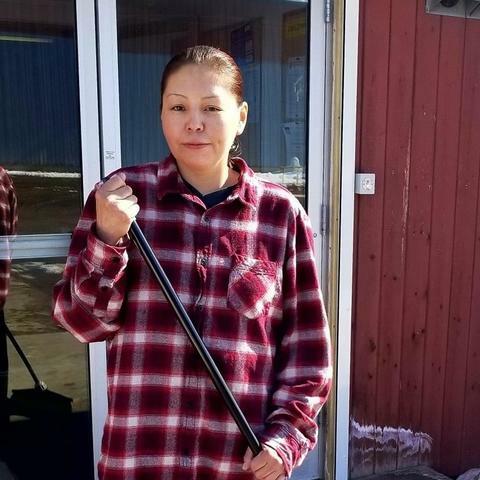 Armed with new skills and a new found confidence, she met with a job coach from the Maskwacis Employment Centre. They worked together to create a resume that accurately highlights Andrea’s new skills and experience. She also attended an interview workshop to help prepare for a successful job search. 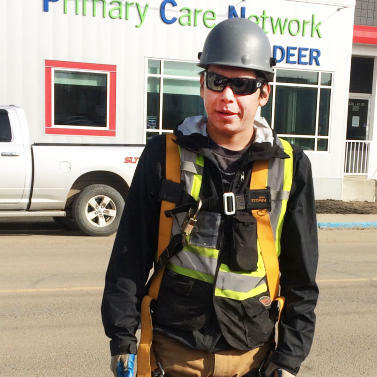 Before entering the Trade Winds to Success pre-apprentice training program, Kevin worked for Alberta Agriculture and Forestry as a wild-fire firefighter. Kevin enjoyed the work, but it was seasonal and it required him to spend long periods of time away from home. Today, Kevin is working toward a career as a welder because he wants the stability of a steady job, which will allow him to spend more time with his family. “I want to be home in the evening with my kids,” said the father of four. The 16-week Trade Winds program begins with a two-week trades orientation followed by academic and hands-on-training. Kevin is hoping to find an apprenticeship position with a fabrication shop when he completes the training. The Trade Winds to Success Training Society helps students pursue careers as carpenters, electricians, ironworkers, millwrights, plumbers, steam/pipefitters, welders and insulators. Trade Winds incorporates Indigenous culture into its program and hires trainers who understand the Indigenous community. Trade Winds began in 2006 and since then has produced over 1,200 Indigenous tradespeople. Trade Winds is supported by Alberta Advanced Education and Alberta Indigenous Relations. After working as an Engineer for over 16 years, Pascale suddenly found herself unemployed due to the oil and gas sector decline. News of the company layoffs was devastating, impacting half her work team. After applying for over 200 jobs with little to no response for an interview, Pascale was frustrated and not sure where to turn. She turned to Higher Landing and was accepted into their Shuttle Program. Through the program, Pascale shifted her traditional job search perspective and overcame negative perspectives she had with her employment situation. She developed a resume based on “her brand” for use in all jobs and increased her comfort level in using social media to broaden her professional network through LinkedIn and Blogging. This helped her to get interviews and eventually land the job she wanted using her skills in the engineering field. Pascale spent hours in developing her own personal brand as demonstrated through her new resume, helping to increase her value in other roles and sectors she had not considered previously. She presented her brand to the Grizzley Den panel, represented by influential Calgary business leaders ready to provide feedback and leads. Pascale recommends the program to others struggling to connect to a job and found the staff and support provided invaluable. 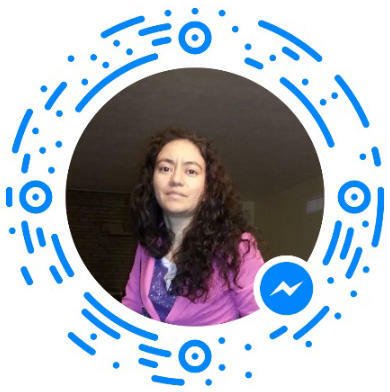 She states “learning how to develop new networks outside of my traditional network which was largely oil and gas was critical to my success along with understanding the difference between socializing and true networking”. Sandra first began studying for a career in Human Resources over 10 years ago, but had to abandon school to take care of her ailing mother and young disabled daughter. 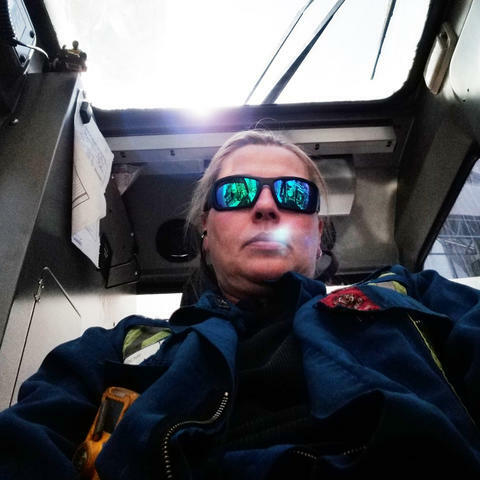 Sandra found work in Alberta’s energy industry as a heavy equipment operator, but wanted to advance her career further. It took her a few years to pay her dues and, but her hard work paid off. She impressed a Local 955 union Business Agent who entered her name in a lottery for a training position as a Crane and Hoisting Equipment Operator. Sandra used her newfound confidence to complete her exams and become an Apprentice Crane and Hoisting Equipment Operator-Mobile Crane. 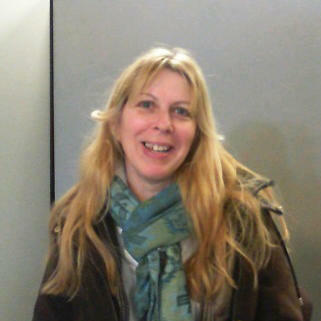 Sandra is now looking forward to receiving her Journeyperson ticket in her trade this year. Sandra’s advice to any other apprentices who may be struggling is, “Stay encouraged, surround yourself with people willing to pass on their knowledge, and never stop learning.” Sandra is grateful to her Alberta Apprenticeship and Industry Training Officer, her Local 955, and mentors she met through the union and in her workplace for sharing their knowledge, supporting her, and giving her the chance to succeed. Elijah was unemployed and looking after an infant daughter when he visited the Athabasca Alberta Supports Centre looking for assistance. The Career and Employment Consultant he met with referred him to the Calling Lake Job Corps program and he has since found permanent full-time employment. Alberta Job Corps provides work experience to under-employed Albertans and teaches employee skills while paying a minimum wage. Positions are full-time and include a workplace environment with standard employee expectations. Elijah attended work every day and obtained safety tickets to improve his employment opportunities. Through the work experience component of Job Corps, Elijah found a permanent position with a company who works closely with the program. Elijah appreciates the support provided by Job Corps and is excited to be working full time. Evan is a burgeoning entrepreneurial baker in Edmonton, having worked his way from a single storefront location into shops across the city. But being a self-employed startup is a scary and stressful journey to embark upon, and for Evan, success nearly didn't happen. To overcome his fears and discover just what was possible, Evan enrolled in a class at the Anderson Career Training Institute, a free, government-funded business training program. The 10-week program introduced Evan to the practical nuts and bolts, with classes led by teachers with business experience and guest speakers. Following was a four month mentorship supporting Evan while he got his business up and running. But for Evan the most important aspect was the lesson he learned about how to handle the emotional part. "Things like stress, fears, frustrations and setbacks. You just have to be willing to accept change and face challenges," he says. Evan says he's now more open to opportunities and less afraid of failure. "I look on business in a positive way. Everything is possible." Anderson Career Training services are funded by the Government of Alberta. Like many other new graduates, Olgica was frustrated in finding a job because she did not have the years of experience employers in her field were asking for, even for entry-level positions. On top of that, Olgica has multiple sclerosis, which affects her mobility and forced her to quit her job as a sales associate. "Being an intern with Community and Social Services is the best work opportunity in my life," Olgica says. "It will help me to grow professionally and make other social connections." When she contacted staffing agencies during her job search, Olgica faced accessibility problems. She was referred to various disability-related programs and given the suggestion to pursue volunteering instead of employment. According to Stats Canada, working-age Canadians are 27% less likely to have a job if they have a disability. On average, they have an income per year that is $10,000 less than a Canadian without a disability. Olgica heard about the Government of Alberta internship program for people with disabilities when she reached out to Alberta Works for support. They sent her the job posting and helped her update her resume and cover letter. When Olgica got the call for an interview, she prepared by attending interview workshops and coaching through Alberta Works. She knew she had to make the most of this opportunity. "The assistance I received from Alberta Works played a huge part in helping me take my first step back into the Alberta workforce." 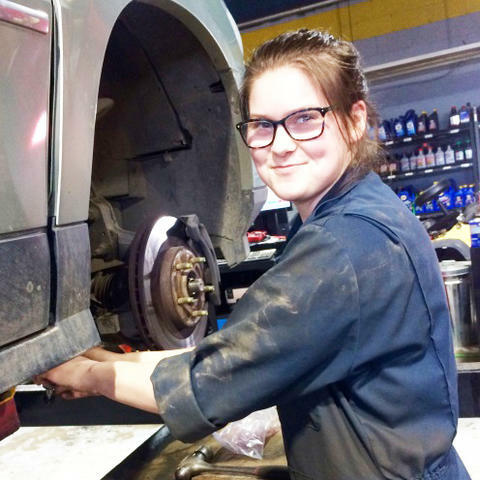 Nallie decided she wanted a career as an auto mechanic, but she knew as a woman in a male-dominated field, succeeding in her goal would be a challenge – women are notoriously under-represented in the skilled trades. Nevertheless, she was determined and registered in the Bridging Youth to Success Program to increase her chances of apprenticeship. The program is part of Alberta Job Corp and provides paid work experience and training to youth who have finished school to help them discover their career path. Even though she knew that the program would not guarantee her an apprenticeship, she says it was worth it. "If you are willing to work and work hard – they will do whatever they can to make it happen," Nallie says. Nallie then sought help from a career and Employment consultant at an Alberta Supports Centre to create a professional resume and to improve her interview skills. 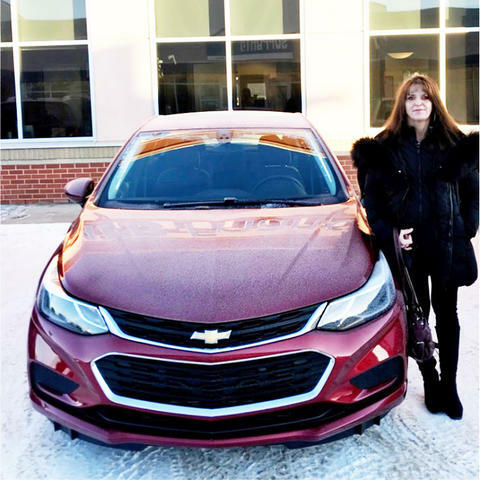 She used her resume and new skills to secure a 2-month Work Experience Placement as a labour / automotive Helper with NAPA Autopro. After finishing her work experience placement, Nallie was offered full-time employment with NAPA and has become a registered Apprentice. She was even able to count her Work Experience hours toward her first year of apprenticeship.